This isn’t combat. You realize he’s just using “the all-powerful sword forged by the goddesses” to mow the lawn, right? Link deserves a lot of credit for what he does. In Ocarina of time, he rolled out of bed to slog through spider-infested lumber after only a short search for a sword and shield. In Link to the Past, he wakes up and immediately saves the princess in his pajamas. In the Wind Waker, not only does he get jostled from a sound sleep at the start of the game, but he does so without killing the obnoxious little sister who wakes him up; then he gets dressed, has a quick lesson with a sword, and starts his first monster safari, one can only imagine to use their hides for sheets and blankets for his next big fit of narcolepsy. I guess Nintendo wanted to build the impression that Hyrule’s archetypal hero must be someone who can accomplish herculean tasks with little or no preparation. I like this. It gives me a unique way to bond with Link. Sometime in college I started to realize that normal people couldn’t do this, that it took them hours before they can muster enough brainpower to stumble to the toilet and figure out how to flush. One of my roommates even once challenged his alarm clock to a snooze-marathon; he managed to sleep for two hours straight, five minutes at a time. A wooden sword? Did you whittle this yourself while sitting out in front of your cave yelling at the hoodlum octoroks to stop tearing up your yard? Of course, this holds bigger implications for the Zelda series. Beyond the simple metaphor of beginning of a journey, giving the hero a call to action and all that literary blatherskite, it demonstrates an expectation of pacing for each individual game. The original dropped Link into Hyrule so desperate for action that he grabs the first sharpened stick he sees and starts stabbing monsters right away. The Adventure of Link doesn’t even ask him to find a sword! I got Anne a Wii and Skyward Sword for her birthday. 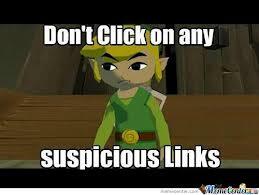 Since I’m droning my way through Twilight Princess, I’ve noticed a few things. One, I can only take so many large-scale Zelda games at a time before I go batty and try creative feng shui to open my front door. And two, newer Zelda games pace themselves in such a way that watching sap leak from a tree reaches a thrilling conclusion before Link does. In Twilight Princess, I didn’t get a sword for an hour and a half, and when I did I couldn’t quite hold it between my paws. 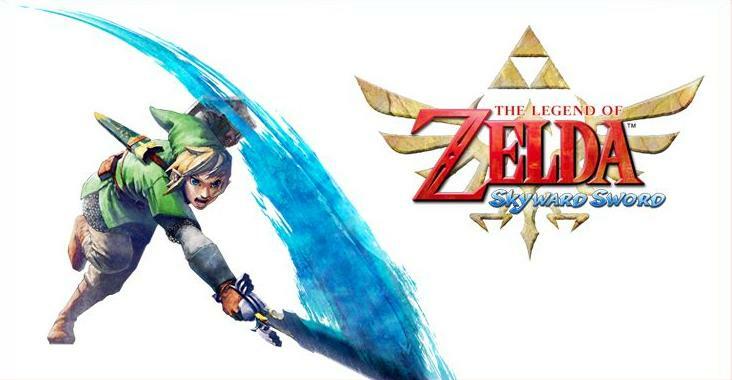 Skyward Sword tops this, with nearly two hours of initial hellos, heys, and re-teaching fans of the series that Link holds a grudge against all things terra cotta. Three hours into the game, Anne has barely reached the “hero’s call” moment to initiate the plot, and has dicked around in the woods, warming up to the weird new race of the game, wining and dining them before they feel comfortable enough with Link to go out with him on a big date to the first dungeon. Furthermore, even though Navi ticked off fans with her constant cries for attention, and Midna never offered any useful suggestions for advancing the quest, the new companion has the personality and emotional range of a sack of flour. Honestly, I almost compared her to an anthropomorphic instruction manual, but I used to enjoy reading through instruction manuals. She comes off like a placeholder that developers forgot to replace with a real person before they released the game. I do find the sky setting intriguing, though. Not so much for the unique ideas it brings to the series to make it unfold like a new story rather than a further re-hash of Ocarina of Time, but rather for the trend that Nintendo seems to have established. The Wind Waker gave us a water-themed world, and Skyward Sword boast an air theme. I half-expect the next big Zelda release to take place entirely underground, followed by, I don’t know, a game where Hyrule has inexplicably relocated into a volcano. While I haven’t played through the entire game yet and therefore can’t officially submit a review, my initial impression of the game leaves a bland taste in my mouth–the kind of taste you only get when you’ve eaten an entire bag of Doritos and the salt has temporarily burned your taste buds into numbness. I do enjoy games with well-developed, complex plot, but Nintendo needs to learn that long tutorials, useless fetch quests, and a speed-dating approach to learning the characters in the game isn’t the same as useful exposition. 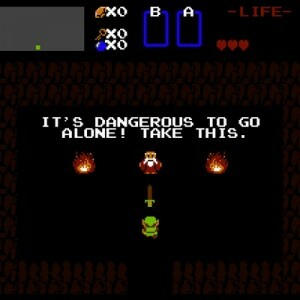 Link traditionally begins each game by waking up, not by putting the player to sleep. It reminds me that players can’t assume a game will be good just because the series on the whole has kept up a good name in the past.